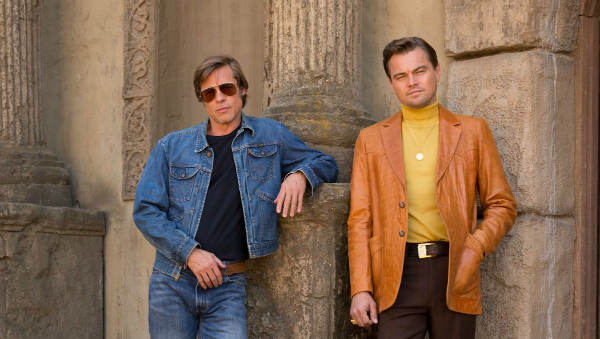 Back in June, Sony Pictures released a teaser image of Leonardo DiCaprio and Brad Pitt for the upcoming Quentin Tarantino film, Once Upon a Time in Hollywood. The photo was widely lauded, and showed the co-stars looking youthful with chiselled facial structures. Alas, things weren’t what they seemed. The studio has admitted to photoshopping certain features on the faces and necks of DiCaprio and Pitt after being called out by publication Page Six. The allegations stemmed from some photo files Sony Pictures released for the media. The press kit comprised the promotional photo along with its raw version, which was included by accident. When comparing the images, Page Six noted that DiCaprio had a tauter chin in the end product, whereas wrinkles on Pitt’s neck had been erased. The cleaned-up marks on the wall behind the two confirmed the site’s suspicions. Sony Pictures and the Once Upon a Time in Hollywood crew have since responded to Page Six’s claims, emphasizing that the stars had nothing to do with the edits. View side-by-side comparisons of the original and airbrushed photos below.